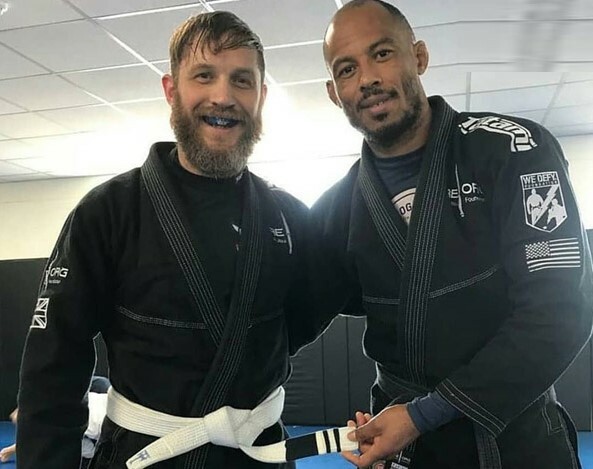 Tom Hardy recently earned his 2nd stripe on his brazilian jiu jitsu white belt. 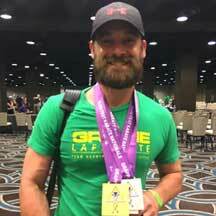 The 39yr old actor started training BJJ with the Royal Marines back in 2011 to prepare for his fight scenes in the movie Warrior. He's also become an ambassador for REORG to help bring attention to combat veterans that suffer from PTSD. In case you live under a rock and you have no clue of who we're talking about. Tom Hardy is an Actor from England. His first role was in the film Black Hawk Down after studying acting at the Drama Centre London. Hardy has since appeared in many movies, including fighter roles in Bronson and Warrior, when his character's shoulder got broken from an omoplata in the final scene. Don't forget that he also played Bane in Dark Knight Rises (Batman). He most recently starred as Eddie Brock in the Venom movie.